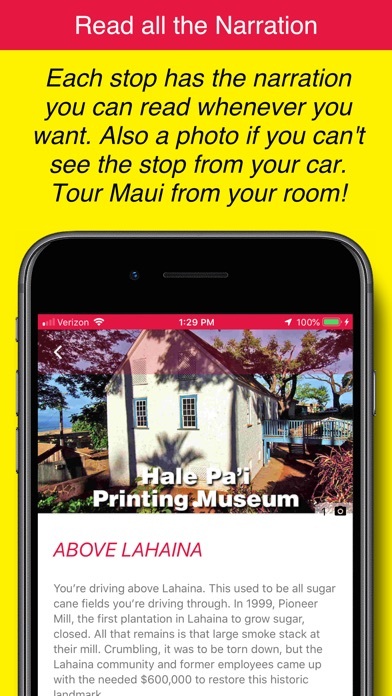 Works with: iPhone SE, 6S, 7, 8, X, XS, XR; iPad Mini 4, Air 2, 2017, 2018, Pro Maui GPS Guide DOES NOT support: iPhone 5S, 6, 6 Plus; iPad Air, Mini 2, Mini 3, iPod Touch Easily turn your cell phone into your own personal Maui Tour Guide! 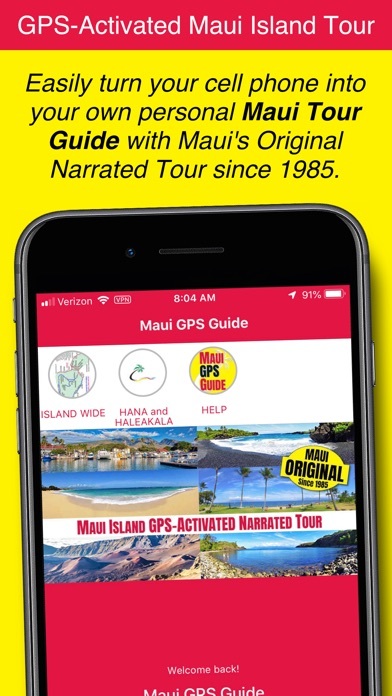 Take along Maui's original narrated tour since 1985. 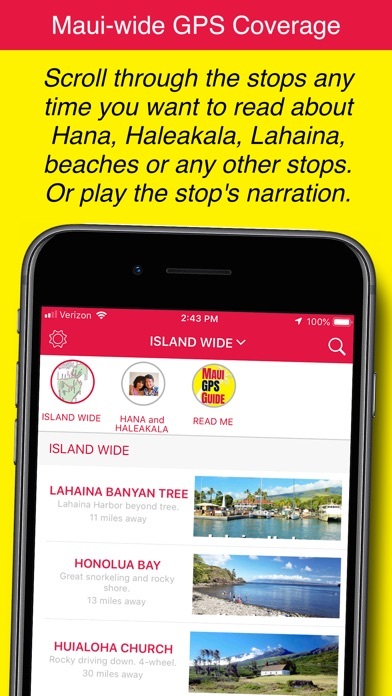 It's like someone in your car with highly-interesting information describing all the things you are seeing, and what's to be discovered on our beautiful island. You drive where you want, as our GPS-activated narration automatically turns on and off along the way; no cellular coverage needed. 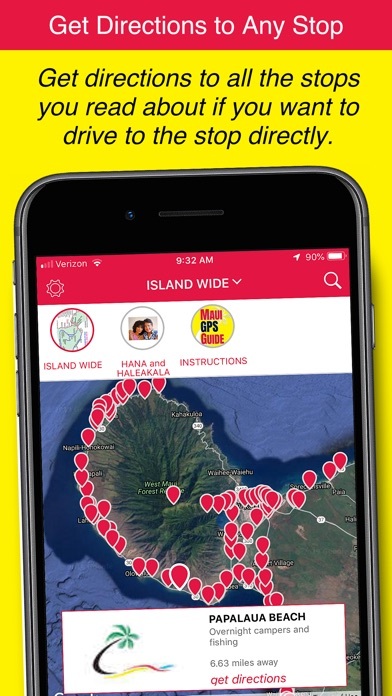 For the Hana drive, our highly-detailed Hana Map shows all the stops so you can see what's ahead and plan your day accordingly. Discover waterfalls, pools, rain and bamboo forests, hiking trails, a black sand beach, history, legends, even every restroom along the way. 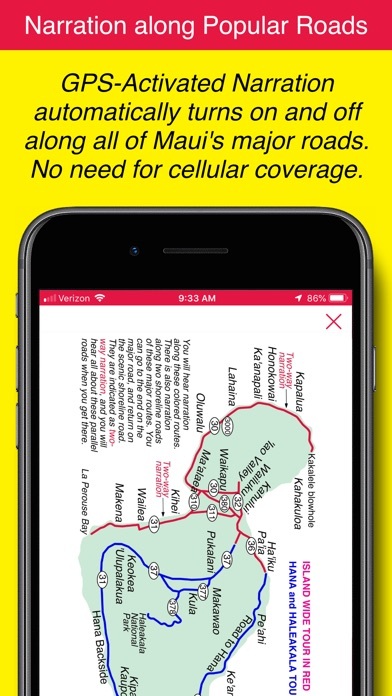 Also includes our Haleakala Tour. You won't miss a thing! App Instructions: You MUST allow the app to track your location for the GPS triggers to work properly. Press "Allow" when prompted after downloading the app. See full app instructions after downloading app. Please note: Continued use of GPS running in the background can dramatically decrease battery life. It was like someone in our car showing us things we would have never seen. Really liked the photos showing us what was to be seen back on the trails. Helpful having the map show us what was ahead and where we were. Highly recommended. This app was extremely frustrating during our vacation. It only worked for 3 stops. How can I receive a refund? Thank you! I pressed play when we started, the first spot it talked all about everything and was very informative. 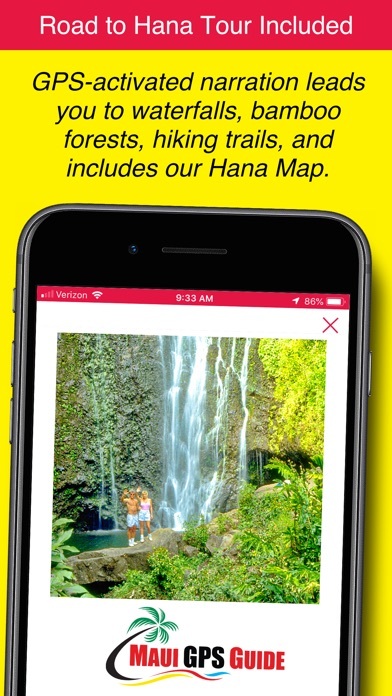 Then I never got it to work again until we were just coming back from Hana, even then it worked for only one location. I am sure the content is well written and interesting, but it wasn't able to play on my Apple 10 I phone. If you have the Apple 10 then maybe choose another ap. Not only was the narration great, but the map showed so many places we would have missed. And it was great having all the photos show us what it looked like on trails and sights we couldn’t see from the road. Highly recommended. This was a great tour, and all those photos really added to the experience. And the map and that red square showing you where you were was genius. We found things we never thought about. Best money we ever spent. We just used this app yesterday! It was awesome!!!! 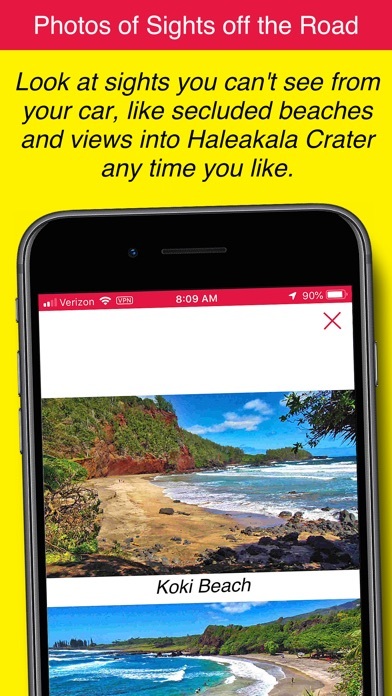 We’ll be recommending it to anyone we know that is going to Maui!